Lately I've been on a mission to spruce up my desk area and inject a bit of personality into my room. I wanted a space that was fresh and minimal but with quirky little touches here and there. The first place that sprung to mind was an adorable online store called Gifts & Pieces. As the name would suggest, this store is filled to the brim with the cutest homeware pieces, stationery gifts and so many other items that are hard to resist. I went for this adorable, vintage-style mug. I thought it would be a cute way of storing my sharpies and looks gorgeous sat on my desk. It comes in it's own little box which I will also find a use for somehow. Unfortunately you can't choose the colour of the polka dots but luckily enough for me, the 'A' mug just so happened to be purple! Sticking with the 'A' theme, I got this white wooden alphabet initial. As I said, I love minimal style and don't think you can have enough white items in a home. This makes a lovely decoration without taking up too much space. 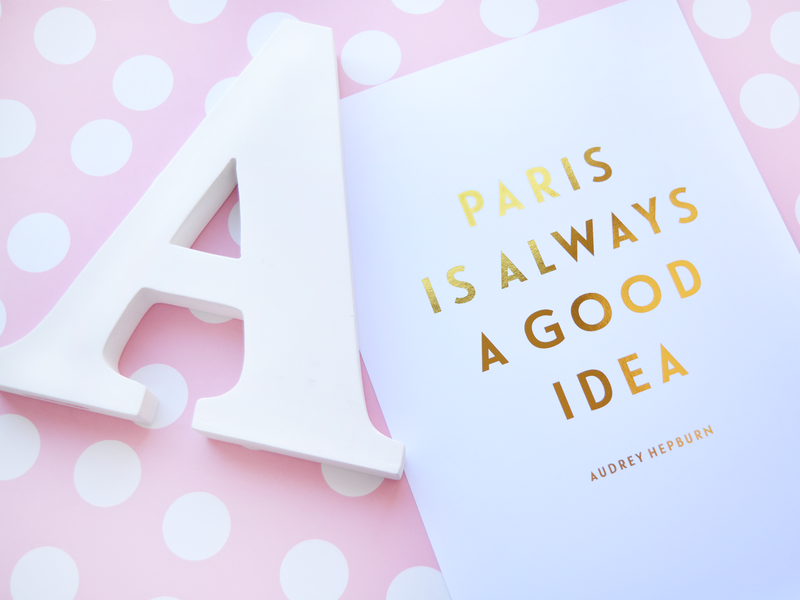 To satisfy my current Paris obsession, I picked up this gold foil print by Dottie Rocks. I want to jazz up my notice board and this will be the main focus of it. Miss Etoile is one of the newest brands to hit Gifts & Pieces and I can't get enough of them. 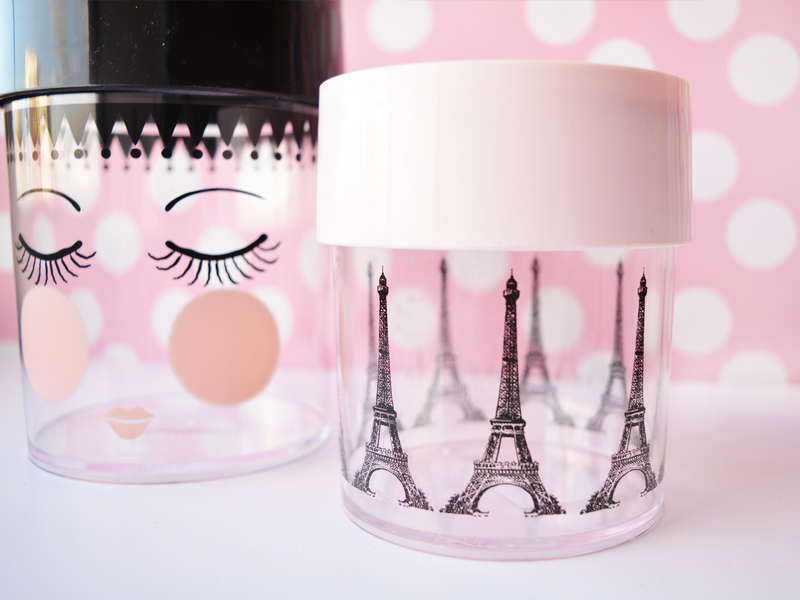 Although I wanted everything, I decided on this small Eiffel Tower print canister (which I will use to store my ever expanding washi tape collection) and this larger 'Blush' one which is just the cutest thing ever! Moving on from Gifts & Pieces to a few other stores. Wilko's new 'Forget Me Not' range seriously floats my boat. 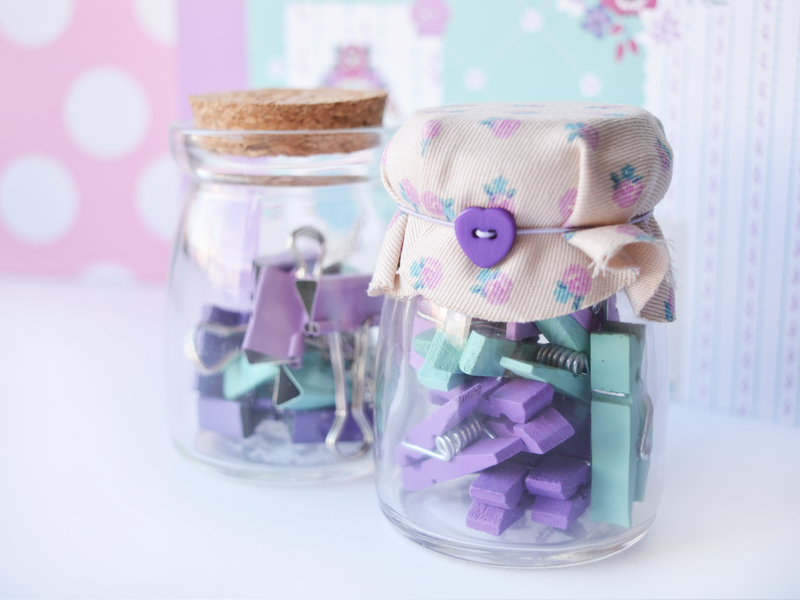 I picked up these adorable jam jars filled with pegs and bulldog clips as well as this ringbinder. Primark's cushion collection is superb right now and I've already bought a few bagfuls! 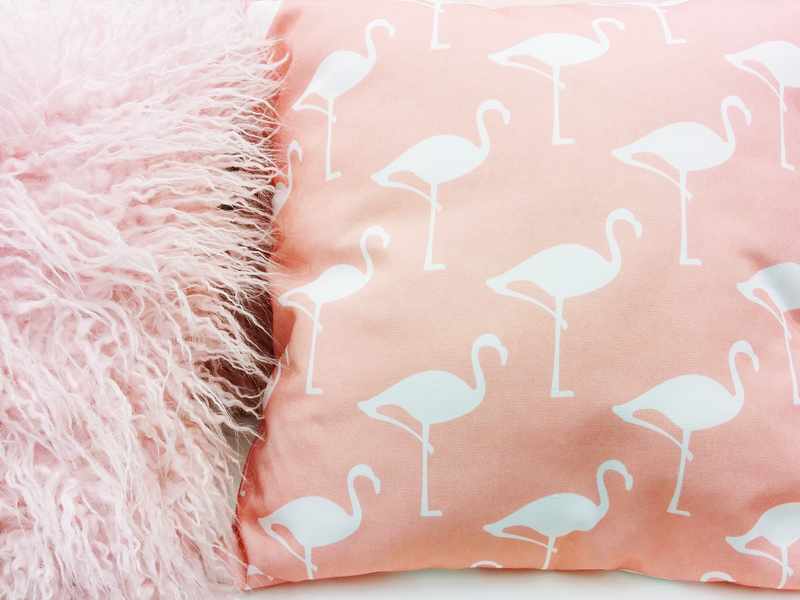 I got this incredible pink flamingo print one for my desk chair, and I can't stop swooning over it. It totally reminds me of Sarah from Temporary:Secretary - if you're not already following her go show her some love! SO MANY CUTE THINGS. 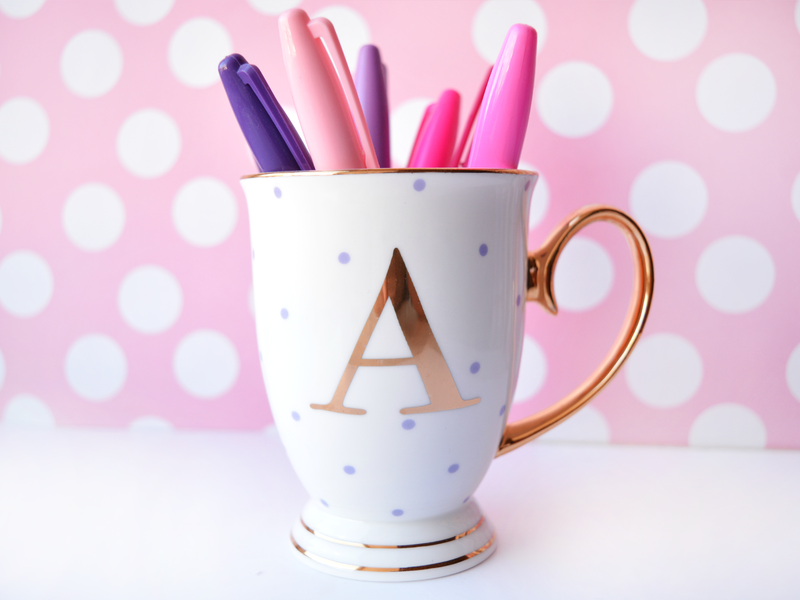 I also need to get my hands on a monogrammed mug, but I just haven't found one I like yet! 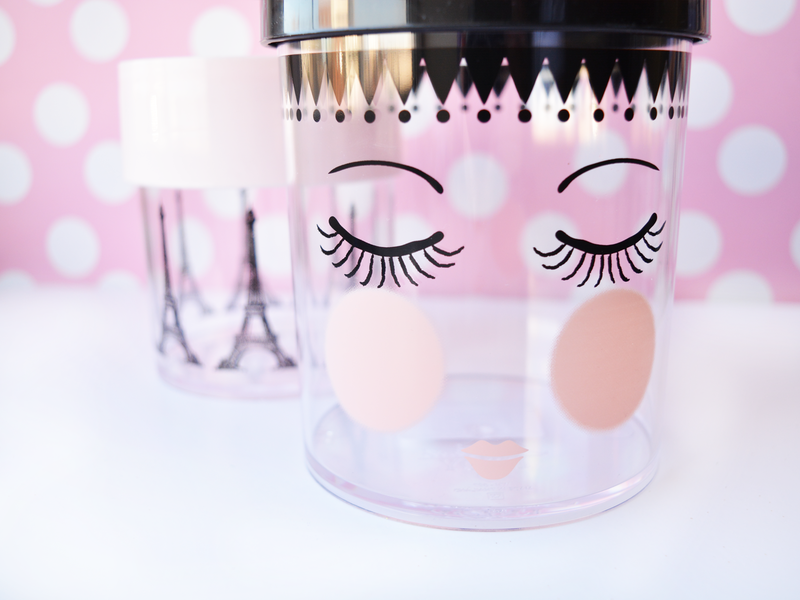 That Paris canister is a beaut! And YES, FOR SOME REASON THAT PILLOW REMINDS ME OF TEMP SEC TOO. Oh my gosh, what adorable items! Those canisters have seriously got me going, they'd be perfect for storing brushes and the like! Oh man, I love all of this! Love love love! I just want to reach through my screen and grab most of it. :) Your desk and office area is going to be so pretty and girly. I hope you will share a finished picture of it soon! Primarks cushions are super cute! & who doesn't love coloured Sharpies!? I know they've got so many gorgeous homeware pieces lately! Thank you for visiting my blog! I love your photos! And I love any and all things stationery/office! I am just getting into planner decorating, so I am going crazy over washi tape! Can't get enough! Aw thank you Karen! I worked hard on these photos so that makes me happy haha. I've been getting into planner decorating too - washi tape is just so addicting! I really like all this stuff, the jam jars are a great idea and look lovely! Yeah I noticed that! Not sure what's going on there, might drop them an email and see what the dealio is. So many nice things- I love that mug!